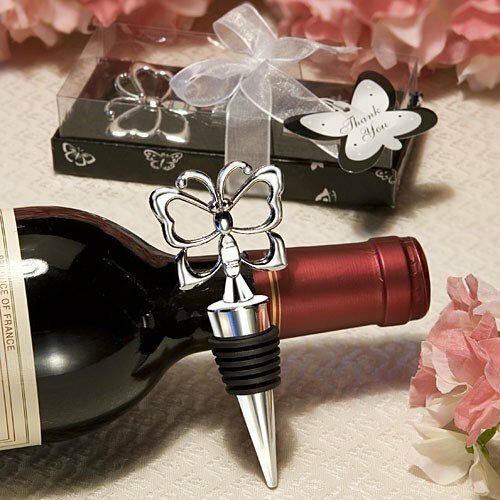 These beautiful chrome butterfly wine bottle stoppers will look great on your reception tables, and grace your guest's homes for years to come. Each stopper favor measures 4 1/4" x 1/2" and features a butterfly on top and rubber gasket to keep their wine fresh. Favors are individually packaged in a deluxe black butterfly design box with clear top, finished with a white organza bow and an attached butterfly design thank you tag.